OMG Posters! 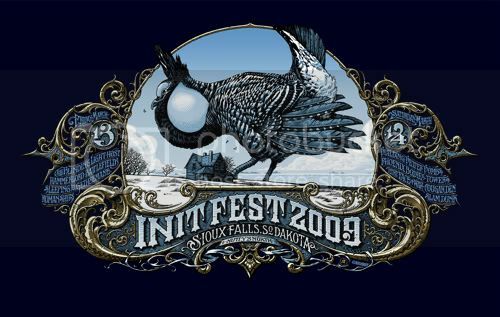 » Archive Some Copies of Aaron Horkey's Init Fest Posters Available - OMG Posters! 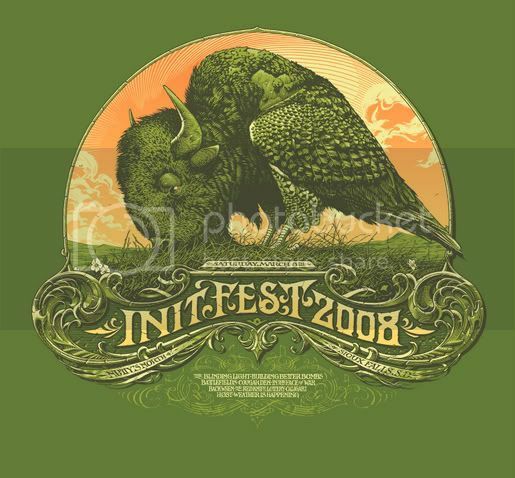 Steven from Init Records has posted a few copies of Aaron Horkey’s Init Fest posters for sale. These are the ultra-limited show editions. Both the 2008 and 2009 prints are available for $50 each. While you’re there, pick up the new pressing of Melt Banana’s “initial t.” 7″ on glow in the dark vinyl, complete with some awesome Horkey artwork, all for only $6. Visit the Init Records Shop. What a good day to wake up early, thanks for the heads up.